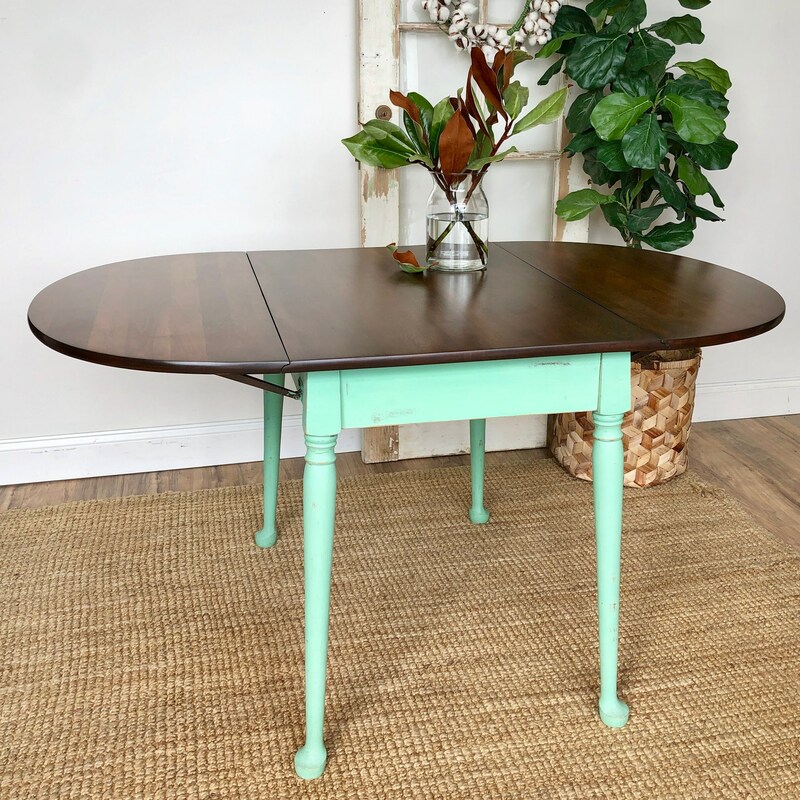 This drop leaf dining table will fit into any small apartment or room with ease. 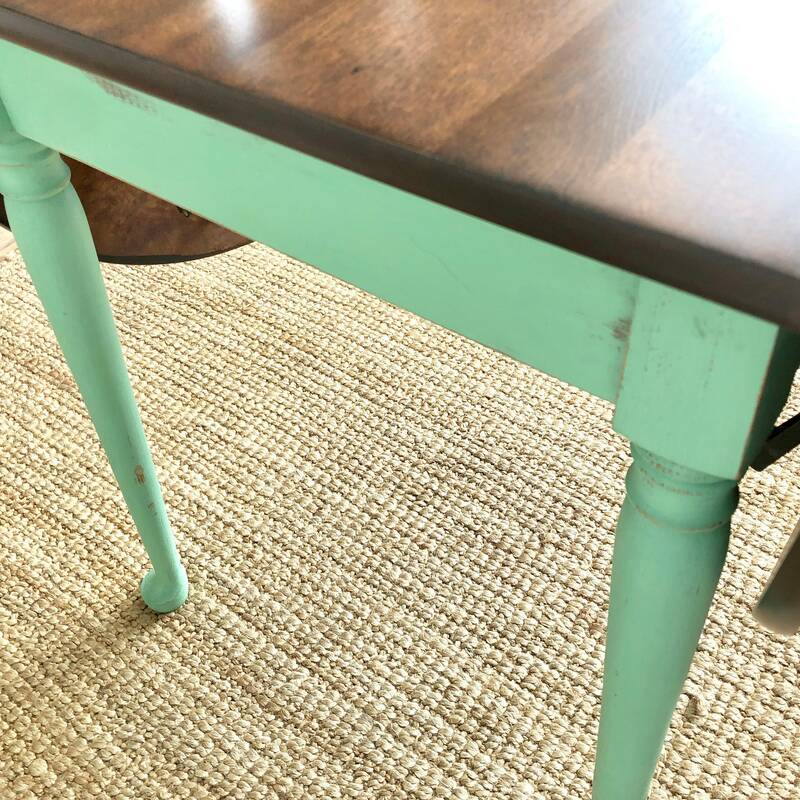 The painted, distressed patina goes well with a country cottage or farmhouse style interior. 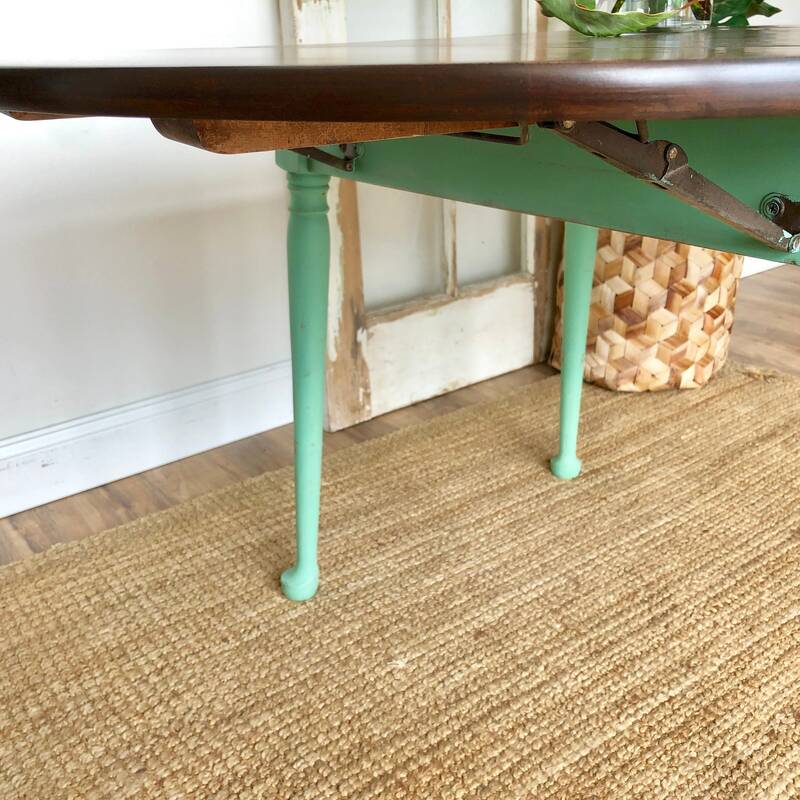 Perfect for use in a small dining room or kitchen, this fold-down table brings functionality and style to your home. 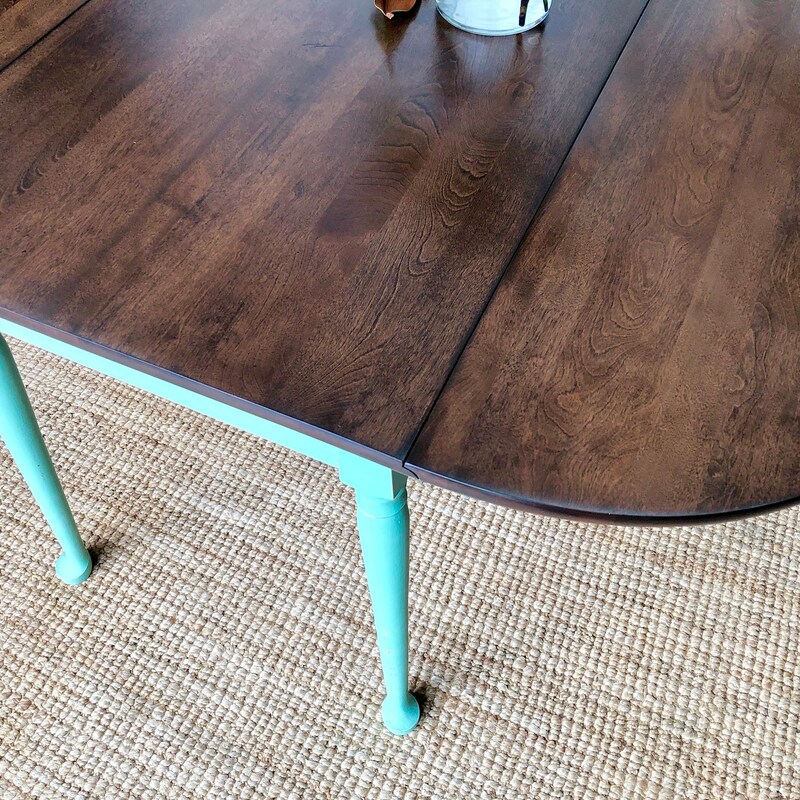 The solid wood has a rich patina that will add warmth to any space. 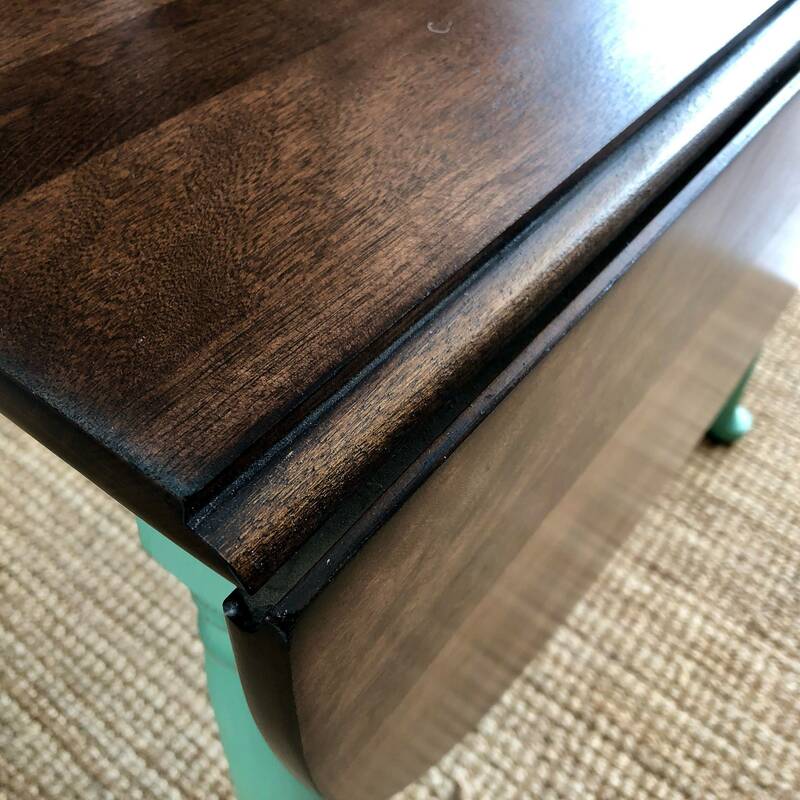 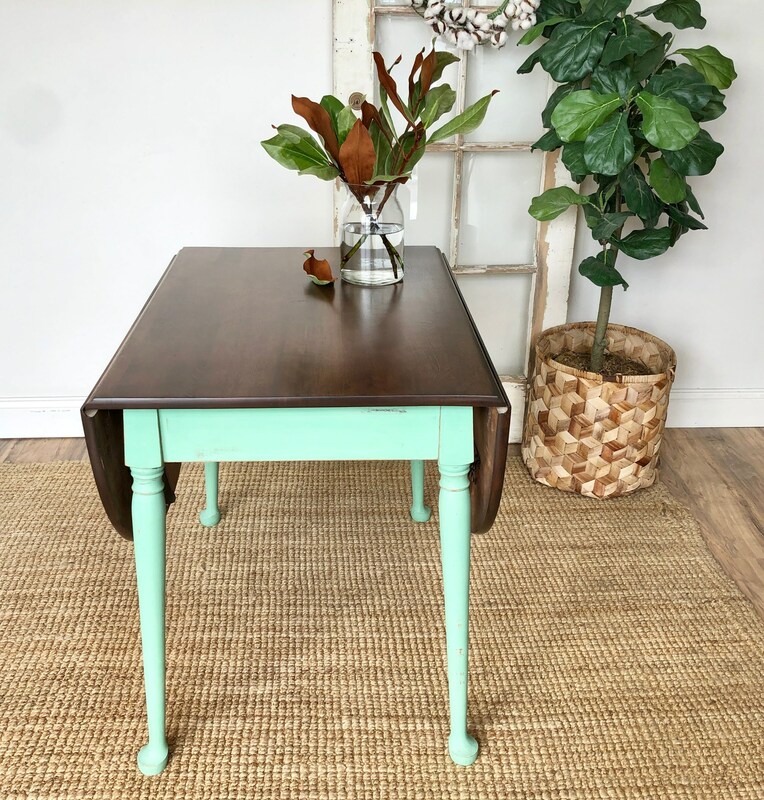 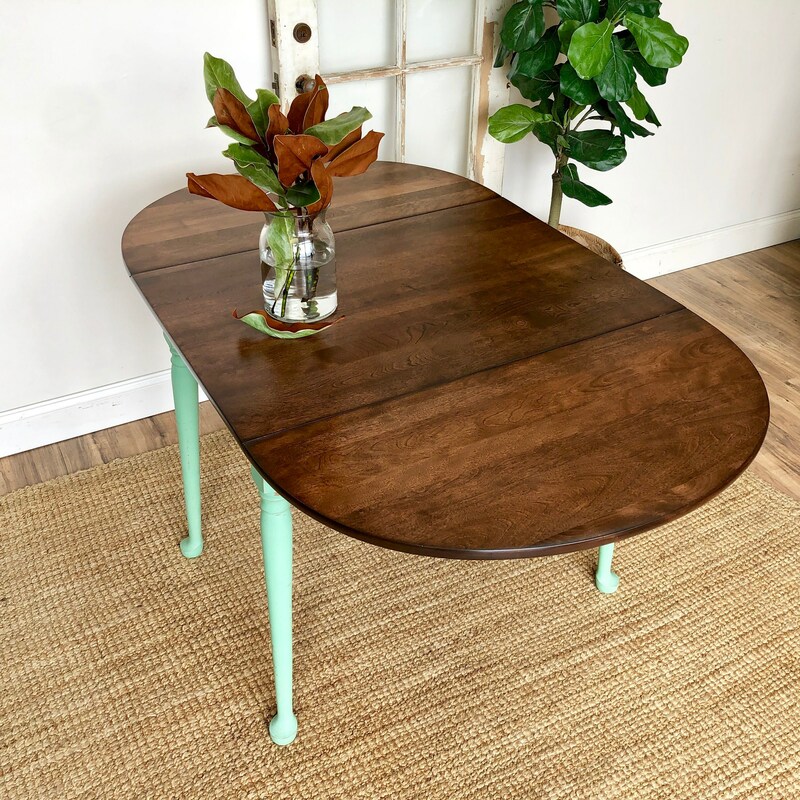 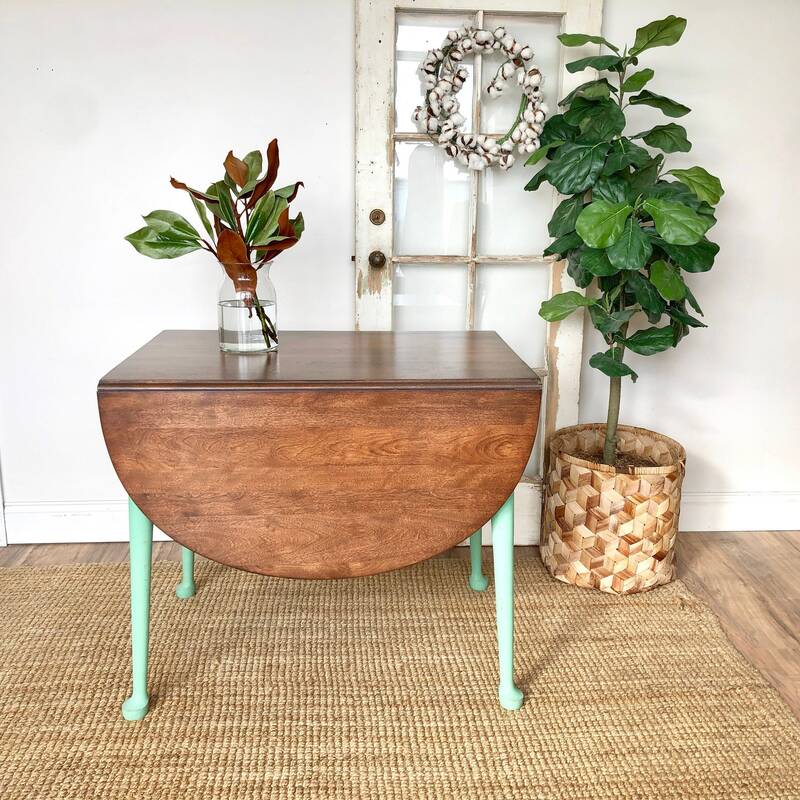 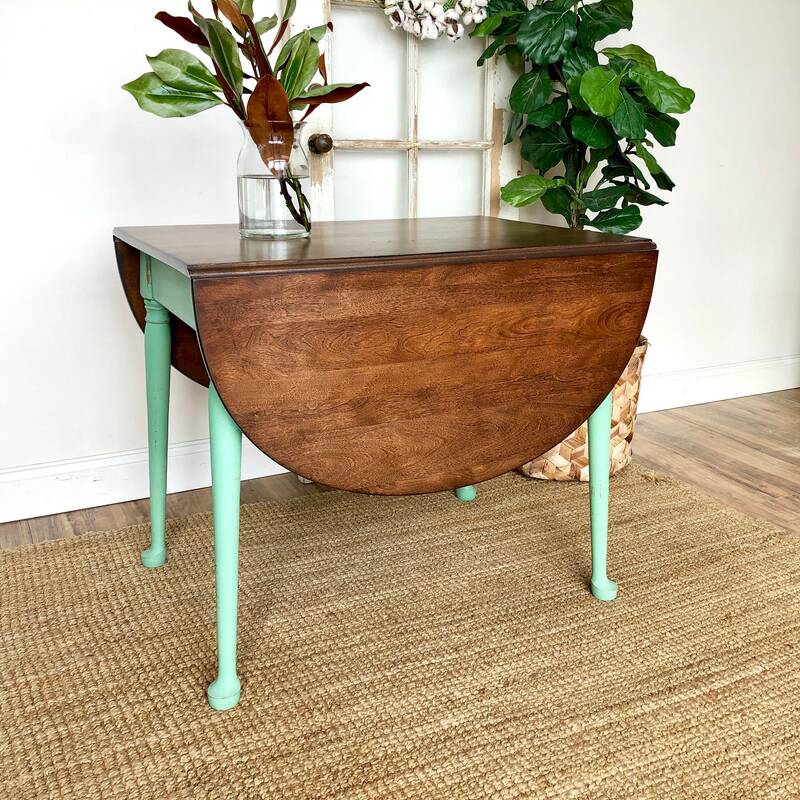 Other uses for this small table includes - sofa table, accent table or foyer table. 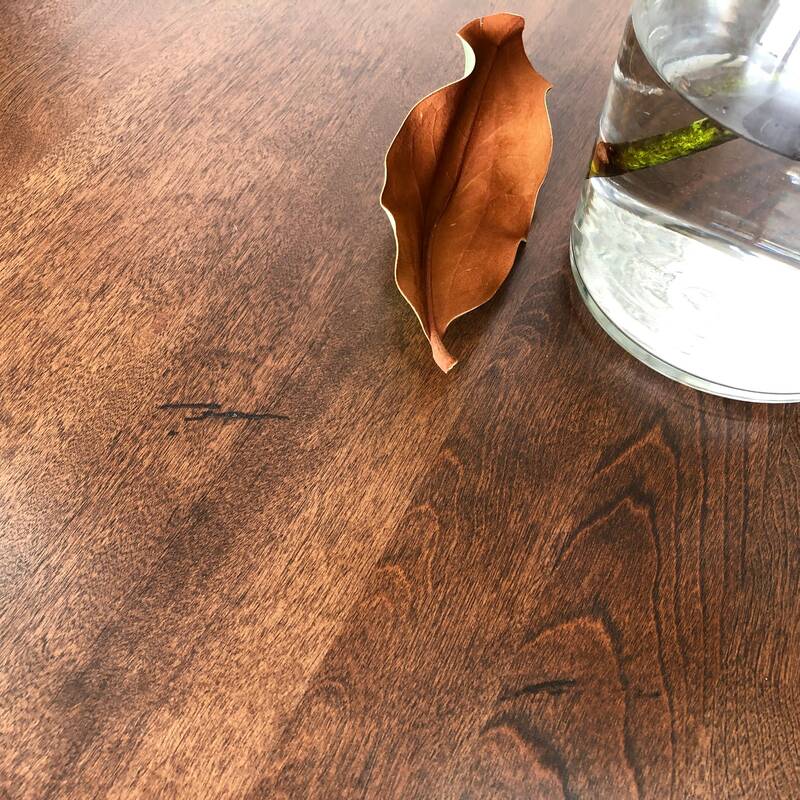 Fold down one or both of the leaves to accommodate your needs.